This Place of Worship was founded in 1811, though it is now closed, but we don't yet know when, and the premises are now in secular use. 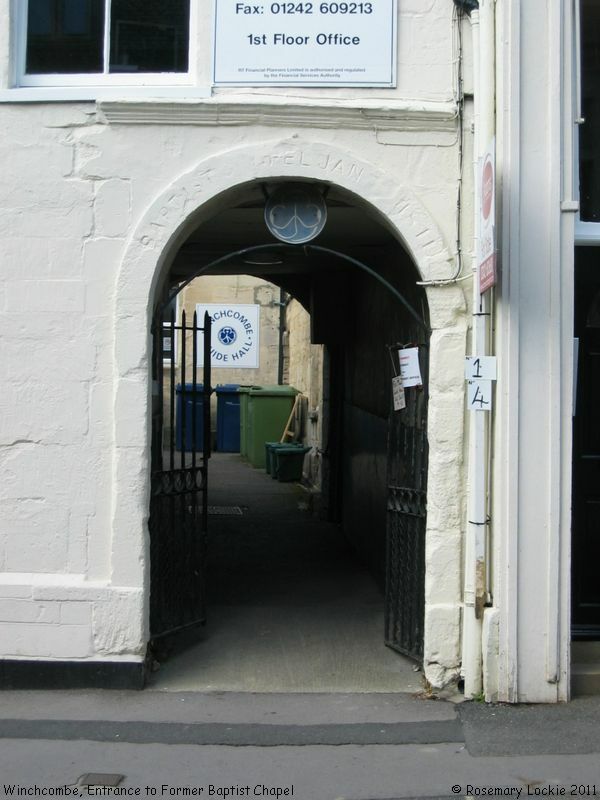 Mentioned in Non-Conformist Chapels and Meeting Houses, Gloucestershire (1986) where it is described as on the north side of the street, and "approached through a passage with semicircular arch at the south end inscribed 'Baptist Chapel Jan 1 1811' ... the church appears to have united with Congregationalists about 1878 when Union Chapel was built although a separate Baptist congregation may have resulted from the merger and continued to meet here". This is appears to have been the case at least until 1923, as Kelly's Directory of that year lists both a Baptist Chapel founded in 1811, with seats for 150, and the Union Chapel, founded in 1878. 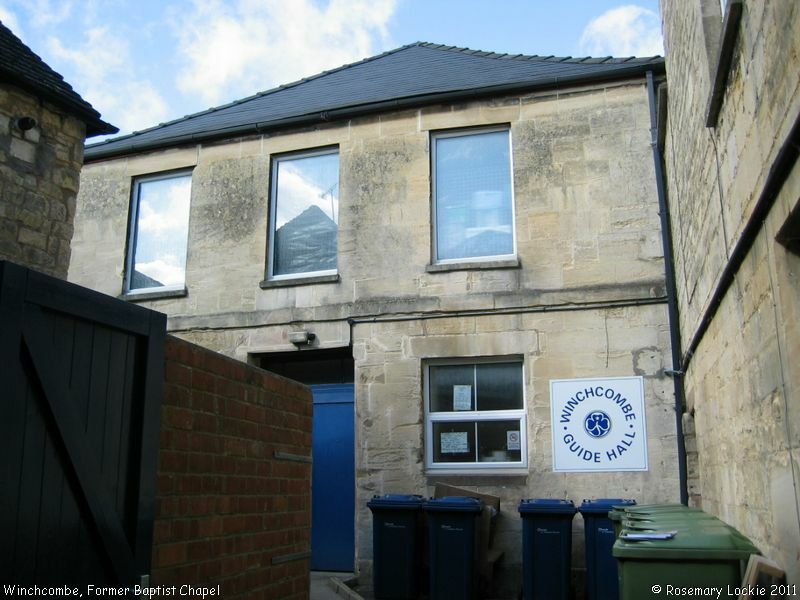 The Union Chapel referred to is in Gretton Road, and is now Cotswold Christian Centre, but as can be seen from the photograph, the former Baptist Chapel is now in secular use. Former Baptist Chapel, Winchcombe shown on a Google Map. Information last updated on 9 Oct 2011 at 13:21. Please also remember that the former Former Baptist Chapel is understood to be in secular use, so care should be taken to preserve the privacy of its occupants. This Report was created 7 Apr 2019 - 18:28:58 BST from information held in the Gloucestershire section of the Places of Worship Database. This was last updated on 7 Feb 2019 at 07:45.